When you think about maintaining the structural integrity of your home, gutters play a vital role. When your gutters are working properly they allow rainwater to flow from your roof surfaces down into the gutters, where it is swiftly carried to the downspouts and drains away from your home. But what if your gutter system isn’t operating at peak performance? To protect your home, it’s important that the gutters drain properly. 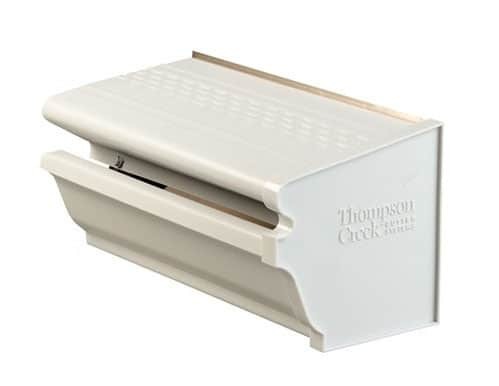 They should be slightly angled downward towards the downspout, and they should be free from debris and clogs. 1. 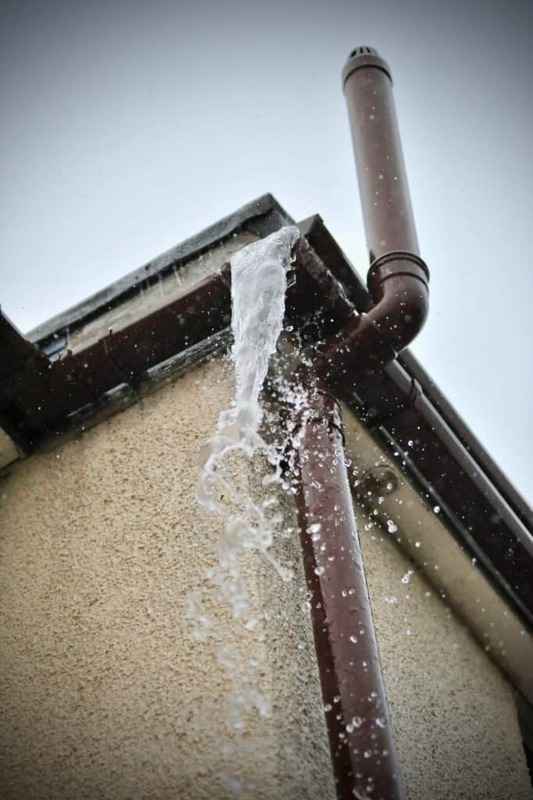 Overflowing gutters: There are a number of reasons why your gutters might overflow. If it’s simply a matter of debris clogging the gutters and downspouts, a thorough gutter cleaning should improve the problem. But there are other reasons why gutters can overflow. If you have improperly installed hangers, low spots can cause gutters to overflow every time it rains. Gutters may also be too narrow to handle the amount of rain coming off your roof during a storm. Four-inch gutters might be insufficient for the square footage of your roof area, whereas five or six-inch gutters would be able to handle the flow. If the gutter runs are not sloped enough down towards the downspouts, this will also cause overflow. 2. Age: The age of your gutter system can contribute to drainage problems. Gutters may have cracks or holes. The seams where two sections of gutters meet can become leaky. 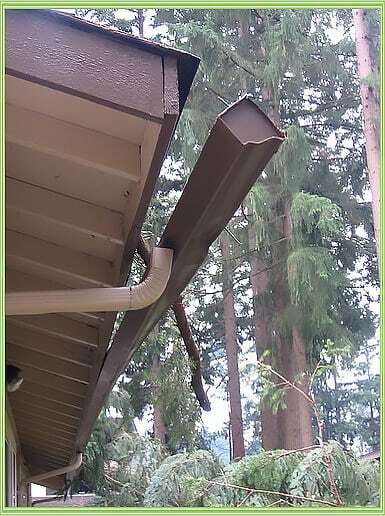 For a temporary fix, you can try to repair this gutter damage. But over time, rainfall and wind can weaken an old gutter system. If your old gutters are aluminum, chances are that they’ve become dented and bent from years of abuse from tree limbs and other debris. And lighter gauge gutter material (thickness) will age faster than heavier duty gutter materials. 3. Weak attachment: Gutters are affixed to your home with hangers or straps, which are usually mounted onto the fascia board. If the hangers were not installed properly, you may find wood rot and other damage to your soffit, fascia boards, and framing. If the hangers were not spaced close enough together during original installation, this will cause the gutters to sag without the proper support. This leads to water pooling in the lower sections, straining the hangers and eventually ripping the gutters away from your home. 4. Foundation damage: Damage to your home’s foundation is a side effect of a gutter system that’s not functioning properly. If your gutters are overflowing due to improper hanger spacing or low spots, water will collect around the foundation of your home. Over time, that pooling water can make its way down your foundation wall, and can eventually end up in your basement. Water can find its way into the smallest foundation cracks and crevices, and during cold temperatures, it can freeze and cause additional damage. 5. 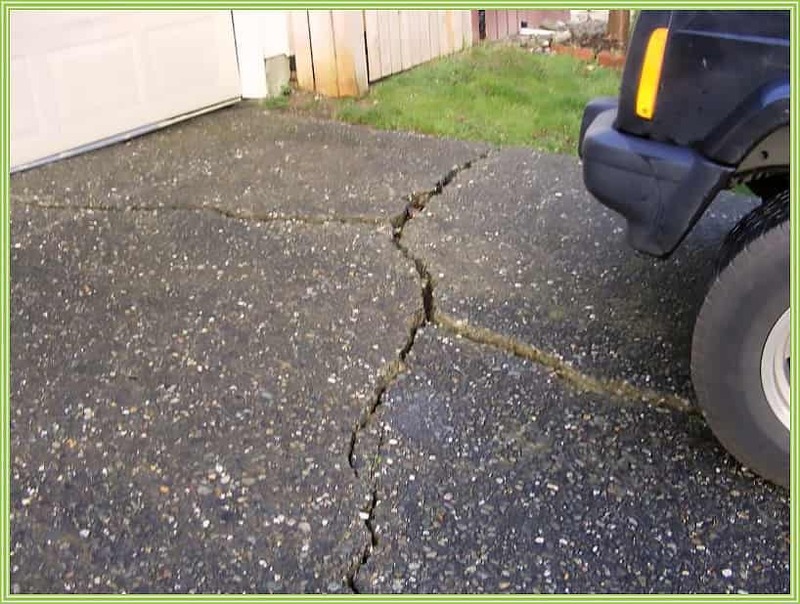 Front yard erosion: Another byproduct of aging and overflowing gutters is soil erosion. When rainwater overflows onto the soil below during every rainstorm, your soil will begin to erode and be carried away from the foundation area of your home, especially during heavy rain. Erosion can also occur at the exit point of your downspouts if they’re not set up to properly drain water far enough from your home. Soil erosion can also cause damage to landscape plantings around your foundation, weakening their root systems. Gutters not only carry water off your roof and away from your home. They protect the structure itself, preventing soffit damage, foundation damage, and erosion issues. While you might be tempted to try an easy fix by repairing problem areas, it’s likely to be just a temporary fix. If your gutters are old, sagging, torn away from your home, or are too narrow to handle the water load, you should consider replacing them.